We haven’t been to Perth since going there with some international friends in April 2015. 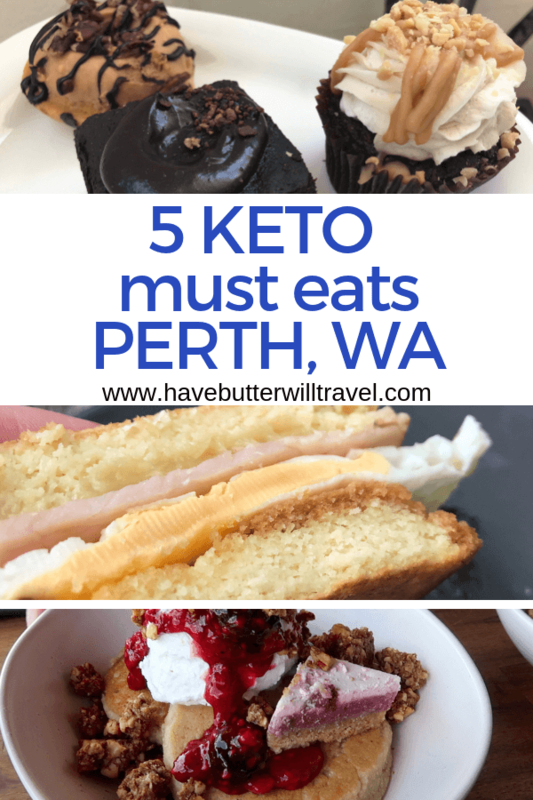 This was pre keto for us and so we haven’t been lucky enough to check out some of the great keto must eats in Perth. It was one of the reasons we wanted to go back and took advantage of the long weekend we have for Melbourne cup to visit Perth and eat all the yummy things. As a couple, eating out together is one of our favourite things to do. We love finding new places as well as going back to our old favourites. When we began our ketogenic lifestyle we were both really worried we wouldn’t be able to eat out any more. This has not been the case at all. 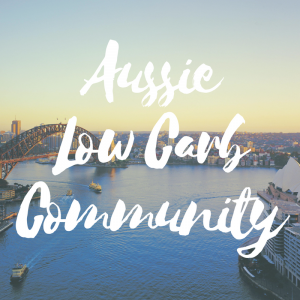 We have really enjoyed the challenge of finding keto friendly and low carb restaurants in Melbourne, where we live, and in other cities when we travel. The other challenge we love is finding a way to make any menu an option for us. 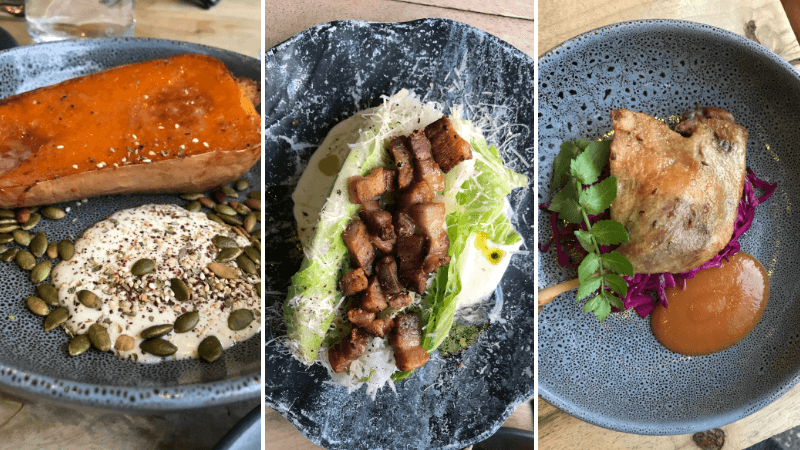 If you are interested in how we manage to stay low carb whilst eating out make sure you check out our Keto Travel Essentials – Eating out post for further tips. 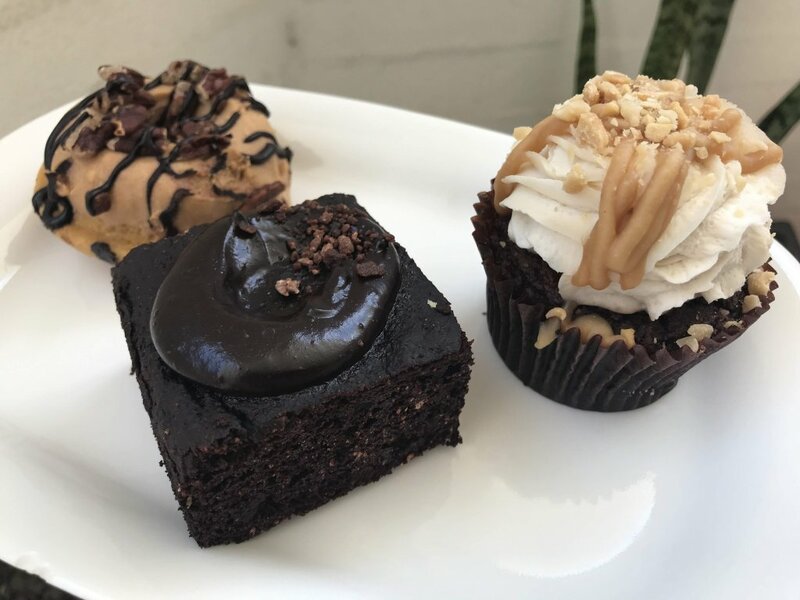 The Sugarless Bakery is a supplier of sugar free, vegan and paleo treats in Perth. They cater for the keto market and many of their cakes contain less that 4g net carbs making them perfect for a LCHF diet. Livlab is their first retail store. Livlab is a concept deli designed to be a healthy haven for fit foodies, where customers can relax knowing that all our food is sugarless, gluten free and vegetarian. 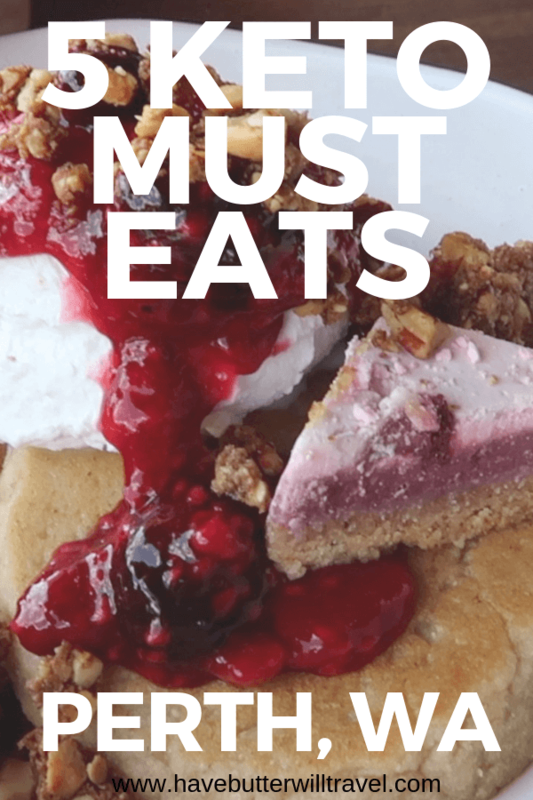 They use the best quality ingredients to produce delicious food that caters to multiple dietary requirements including lactose intolerance, celiac disease and diabetes in addition to vegan, keto and paleo diets. We decided to go to Livlab for breakfast on the Sunday of our long weekend. We were super excited to finally get to try this place. It was definitely worth the wait. They have a great menu that includes keto waffles and keto pancakes. They also have all the Sugarless Bakery treats and some fat head dough specials as well. We ordered the pesto waffles and the berries and cream pancakes. Both dishes were a hit with us. We always split our meals so we both get to try each option and we were definitely happy with our choices. 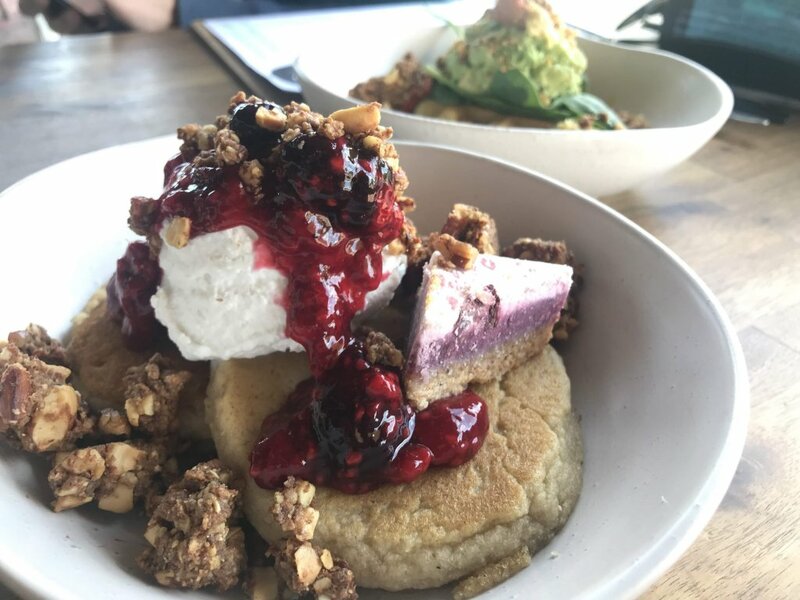 Livlab was our favourite keto breakfast we had in Perth. If you live in Perth or are planning a visit, we highly recommend going to check out Livlab. 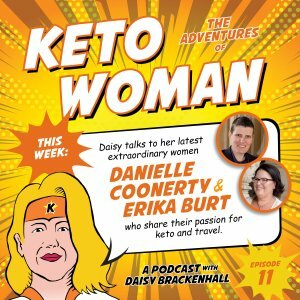 As far as we are aware these guys were the first cafe with a keto focus in Australia. We were so excited to finally get to try out their food. We were really excited to be able to order a keto bacon and egg toastie. 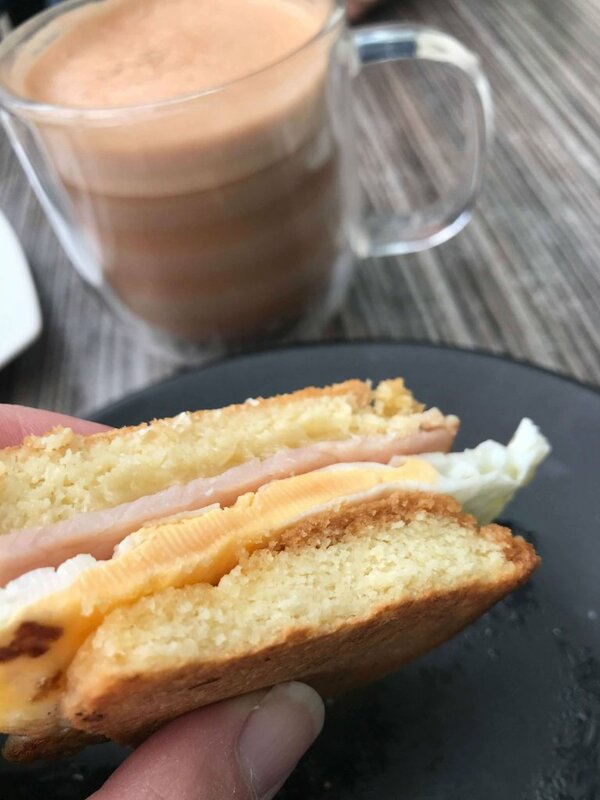 They make their own keto bread and this was delicious and such a treat being able to pick it up and eat it with your hands. We also ordered a jalapeno muffin and a keto chocolate cake that was only 4g net carb. All the food we ordered was tasty and we were also lucky to meet up with Rachelle from Sukrin Australia. After our disappointment at not being able to find the location, we headed off to check out the Brighton Road food market and just happened to drive past the new Scarborough location. How lucky was that? The thing we loved about this menu is it had a keto breakfast section and it showed all the macros. It’s important to note the macros displayed net carbs. We decided to get the keto waffle eggs benedict, keto coconut breakfast waffle and the keto breakfast sausage gauc stack. Waffles are near impossible to get as a keto option when eating out, so we took advantage of the opportunity. We chose 3 options as Dan had been fasting and the meals sounded a little small. The servings of the meals we chose were small, with only 1 egg, so we were glad we chose 3 options to share. The food was pretty tasty. The sweet waffles did have a little maple syrup, which is not necessarily keto, hopefully this was included in the macros. We would highly recommend heading to one of their locations and supporting them. These places need our support to continue to offer great keto friendly options. We were lucky enough to have Chantal from The Cookie Barrel allow us to come and sample some of their low carb and keto treats on a Monday, as we were leaving town on Monday and weren’t going to be able to visit on the days they are open. 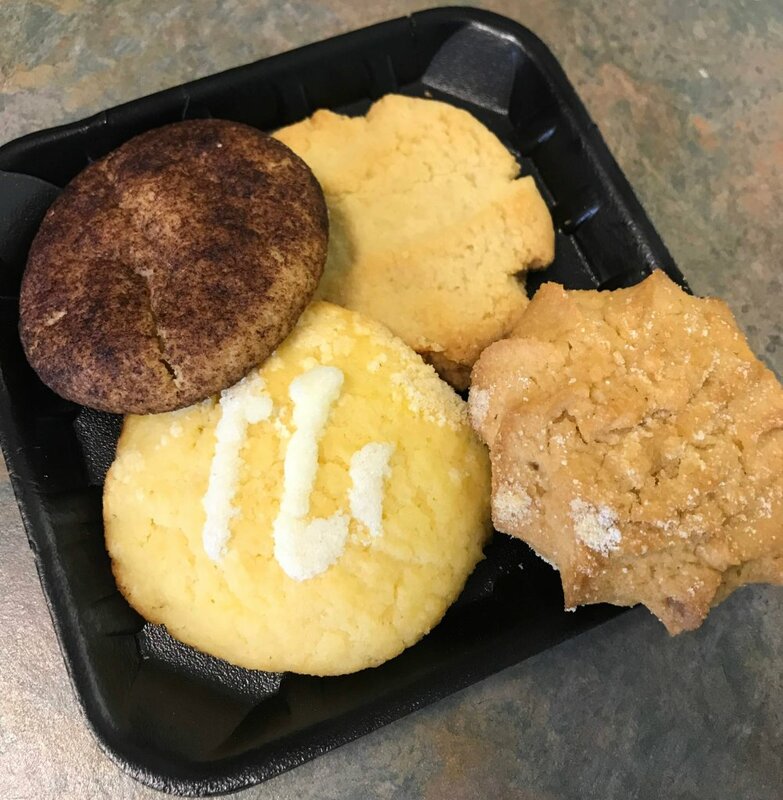 We tried a few different cookies including the peanut butter cookie, almond shortbread, lemon sponge and snickerdoodle. These are all soft cookies and all of them were delicious. They use xylitol to sweeten all their keto and low carb products. We also got to sample their brownies. They have 3 flavours, raspberry cheesecake and pistachio, caramel cheesecake and chocolate cheesecake. The raspberry flavour was designed for Christmas and it was delicious. It is so good they have decided to keep it in their low carb range. All of these products are labeled as keto. They other great thing about these guys is they live a ketogenic lifestyle and understand what can be defined as keto. They have some savoury cookies as well, but have only labeled them as low carb because they are 5g of carbs per cookie. I find it refreshing to find a company that is attempting to use the keto label correctly and not just “cash in” on it’s popularity. We headed to Fremantle to check out the Fremantle markets and have a wander around town on the Saturday afternoon and thought we would try Manuka Woodfire Kitchen for dinner. I am so glad that we timed it perfectly and they had a table for us, even though they were fully booked and everyone that turned up after us without a booking, got turned away. Manuka Woodfire Kitchen was a definite highlight of our time in Perth. We don’t often have a nice dinner out and we both really enjoyed it. We chose to have the tasting menu and asked if they would swap the flat bread for another option. They were happy to accommodate our request and gave us a delicious tomato salad instead. The tasting menu changes daily, as they are focused on using local seasonal produce. On the day we were there the tasting menu included warmed olives, ceviche with pickled cucumbers and capers, tomato salad, smoked pork and lettuce, roasted butternut squash and roasted duck thigh. Dessert was a cheesecake (not keto). Everything we had was delicious. Neither of us had tried duck before and we loved it. The bone slipped right out and the meat was so soft and juicy. We were impressed by the menu and most of the tasting menu was keto friendly. I am sure you could skip dessert or ask if they would swap it for cheese. When we are eating at a place like this, we choose to enjoy the experience and make the best keto choices we can while enjoying the quality of the food and the experience. If you are looking for a special occasion meal in Perth we would highly recommend heading to Fremantle and Manuka woodfire kitchen. Make sure you book as it is a popular place with locals. These guys are a Western Australian Company and are doing amazing things with ice cream using xylitol as the sweetener. They are growing rapidly and now have many stockists outside of WA. We still wanted to include them in this list, as they are an WA company and have lots of stockists here. When we are travelling, one of our favourite things to do is find gourmet food markets like the Boatshed Market. We were staying in Cottesloe and so added the Boatshed Market to our list of food markets to check out. Wow, are we glad we did. This place was amazing. This is the type of place you could easily spend an hour wandering around, looking at nutritional labels and getting excited by all the products they have. They also have a large range of fresh cooked meats, salads and cheeses which are perfect to go options. We bought some picnic supplies here including cheese, salami and keto friendly dips, with the intention to have a picnic watching the sun set over the Indian ocean, but it got very windy and cold and we picnicked in our sunny courtyard instead. If you have some time in Perth we would highly recommend getting to the Boatshed Market and checking it out. As mentioned above, we love to check out different independent grocery stores when we are travelling. Fresh Provisions was another great find. We enjoyed just wandering around, checking labels in hope a sauce or marinade may be keto. One find Erika was really happy about was fix and fogg peanut butter. If you are new to HBWT, you wouldn’t know about Erika’s peanut butter obsession. Fix and fogg is from New Zealand and is one of her favourites. Brighton Road Food Market was the first supermarket we went to in Perth and the highlight here was the amount of Sugarless Bakery products they have. We grabbed a caramel pecan donut, choc mud cake and a snickers cupcake. Our favourite was the choc mud cake. We also grabbed some Bacel premium roasted tahini. We have been using tahini in our baking recently and are excited to use this local version in some new recipes. Rockpool is one of Australia’s premium restaurants and can often be found in the Crown casino locations. We are big fans of Rockpool and like to go for a special occasion. The steak is some of the best you will find in Australia and if you add some keto sides like cauliflower and cheese gratin, mixed greens, mushrooms or broccolini and asparagus, you will have the best keto meal you can find. The menu is packed full of awesome keto options. The cold bar, salads, hot starters, seafood from the charcoal oven, main plate and woodfire grill sections all have multiple keto friendly choices. We love a good bunless burger here at HBWT and often include a burger place in these keto eats posts. Most burger places now offer a bunless option now and are happy to accommodate your needs. We didn’t have enough time in Perth to go to varsity burgers this time, but definitely love the sound of their burgers and wings. 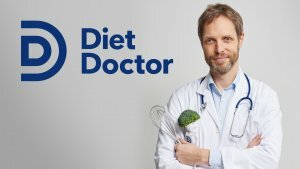 German can be an excellent keto friendly choice. This restaurant was on our list to check out, but we simply ran out of meals with all the places we wanted to get to! We liked the look of their sharing platters that included pork knuckle, sausage and sauerkraut or the sausage tasting platter. One thing I miss on a ketogenic diet is fish and chips. We were both really excited when we found Kalis as they offered a BBQ seafood option as well as their fish and chips. 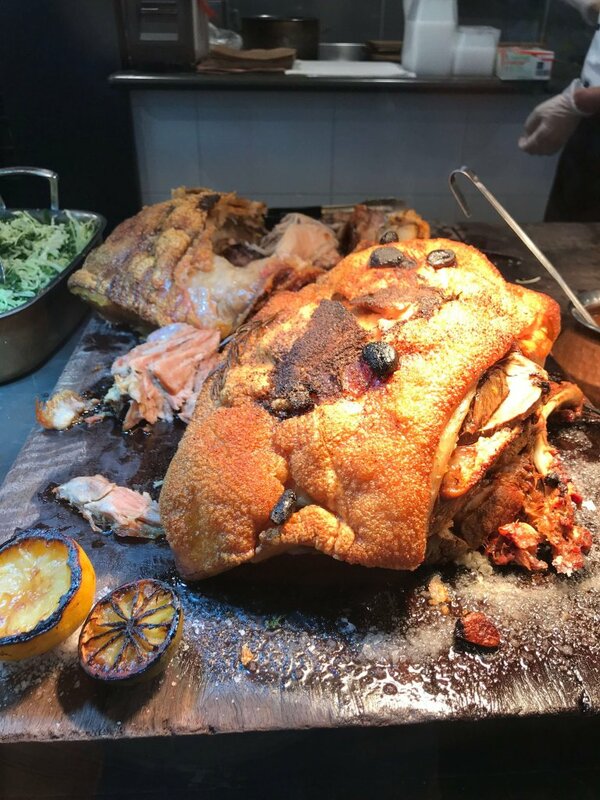 They have several seafood options on their BBQ menu including salmon, lobster, prawns, calamari, oysters and BBQ snapper. As you can see Perth has some of the best keto options in Australia. The highlights for us were the Manuka Woodfire Kitchen, Livlab Deli and the Cookie Barrel. If you live in Perth we encourage you support these businesses so they can continue to offer a keto friendly menu for us all. We would love to hear about your favourite keto eats in Perth. What did we miss? What places do we need to add to our list for our next visit? Let us know in the comments below. 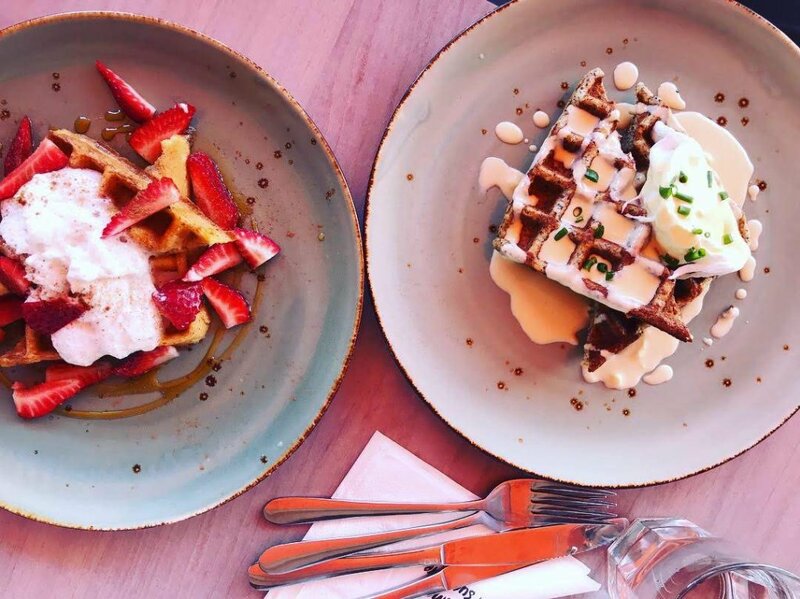 If you love this keto must eats in Perth, check our other keto eats locations. The maple syrup was probably sugarfree. i have one here at home. Next time you are in perth try meet n bun or ahort order burger co. Both have amazing bunless burgers. Also we have a new steak restaurant called meat and wine co. Amazing! Lapas Brazilian is amazing. they bring 16 meats to your table as a buffet! Oh Yum. Now we will need to come back!